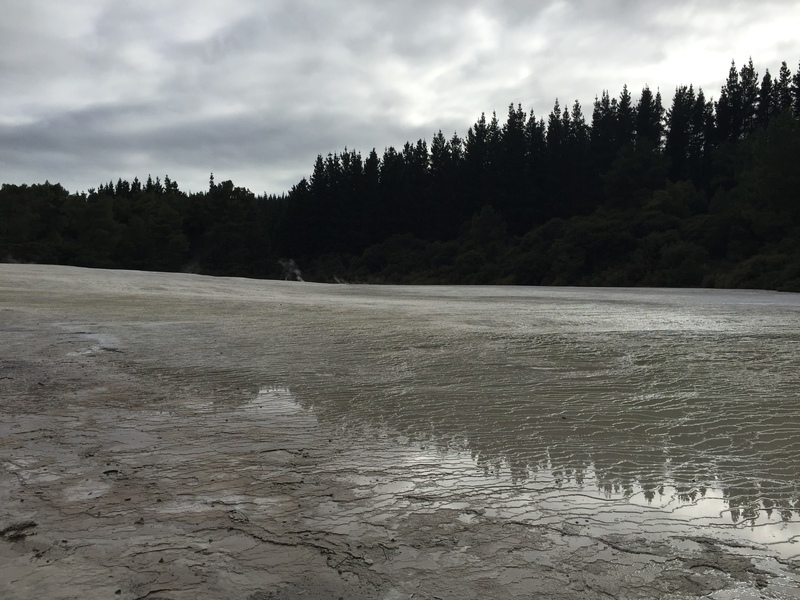 I don’t usually join my husband on his fishing trips, but I’m always keen to go to Rotorua so I tagged along. I broke my arm just before the trip and had to rethink my plans. Stand up paddleboarding was out. I traded lounging in thermal springs for a pedicure. Fortunately a broken limb did not impact our Wai-O-Tapu excursion. 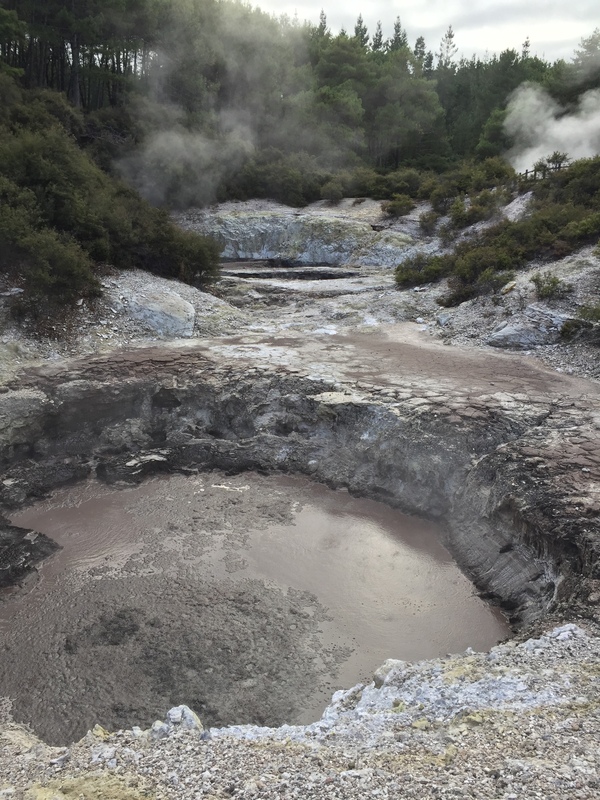 Wai-O-Tapu thermal area covers 18 sq.km of collapsed craters, cold and boiling pools of mud, water and steaming fumaroles. A portion of this is open to the public. 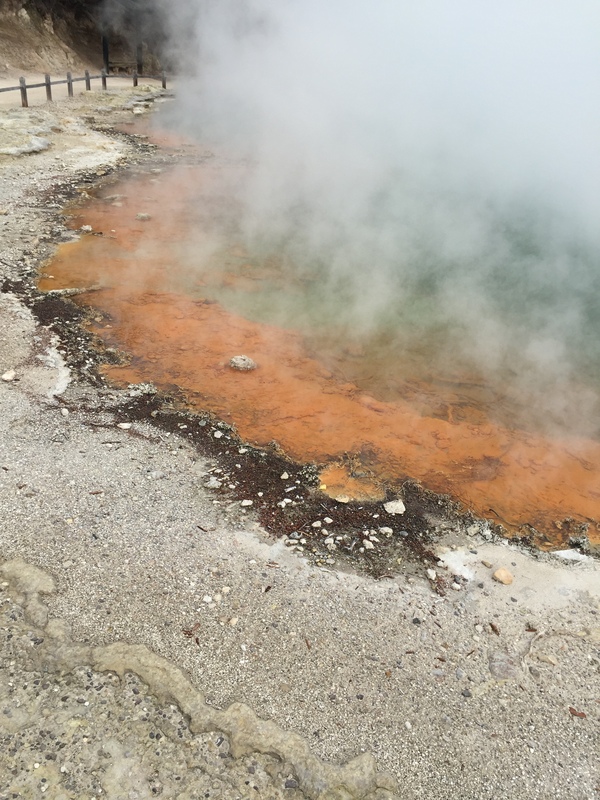 We completed all three walks through the park, admiring the wide range of colours created from different mineral elements. Weather: warm and dry. It got hot walking around during the day.